What is a Polaroid Camera? 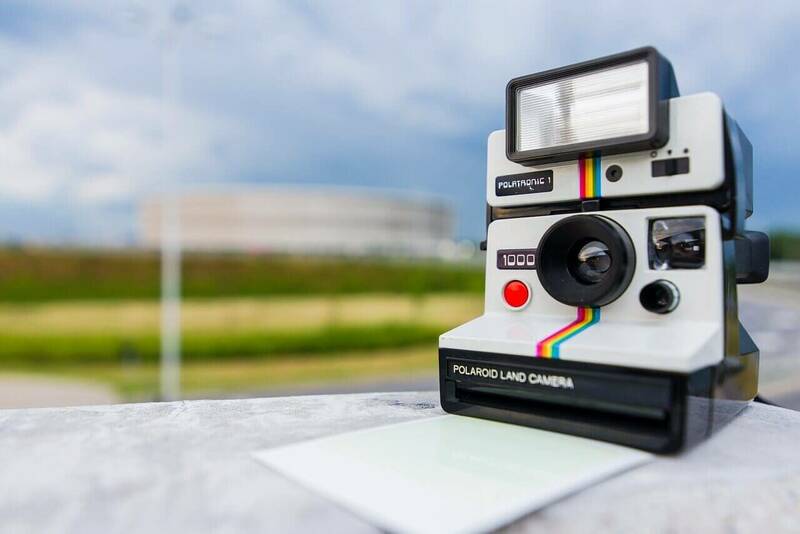 Instant cameras or Polaroid cameras are a species of digital cameras with a specific characteristic of creating a chemically developed print, shortly after taking the picture, using a self-developing film. In simple words, a camera that prints pictures instantly is called Instant Camera. 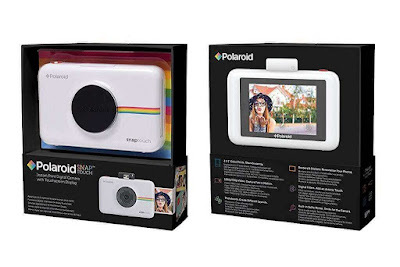 Polaroid Corporation is the patented owner and manufacturer of instant cameras. You can guess why they are more known as Polaroid cameras instead of instant cameras. Fujifilm Instax is also the brand of Polaroid Corporation. So seems like they have the monopoly over the instant camera market. 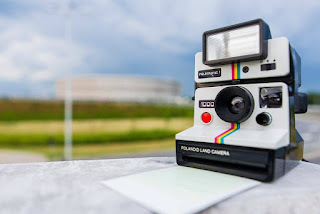 Polaroid instant cameras are the coolest cameras and the reason for their existence today is a 'Question', asked by an innocent girl to her father when they were clicking pictures - "Why can't I see the pictures now?" This question made way to a new range of cameras- Instant cameras that could produce printed pictures instantly. Before they were generally used by police officers in their investigations, for IDs, passport photos, ultrasound photos. Now they are used everywhere like they are mostly used while traveling, generating postcards and also they make a very good gift option. They are easily available on many e-commerce websites and are quite affordable. The only drawback they have is that you have to refill the films as they come with only 20 or 10 film shots. So those who are an overly active shutterbug, you might be better off with a digital camera. Let's begin with our list of 5 best buy Polaroid cameras. 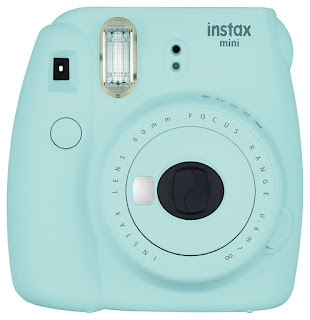 Fujifilm added another unit in its Instax Mini Polaroid Camera series - Instax Mini 9. It comes in very cute and beautiful colors - Cobalt Blue, Flamingo Pink, Smokey White and Lime Green. Whats new is the selfie mirror right beside the lens. In previous models you needed to buy the selfie mirror separately but now the company, keeping in mind the selfieholics, added this in Instax Mini 9. It comes with 2AA batteries which are chargeable as well as replaceable. Along with that you get a new High-Key mode for brightness in the dial setting. Just set the dial to high-key mode and you can get pictures with a softer impression. 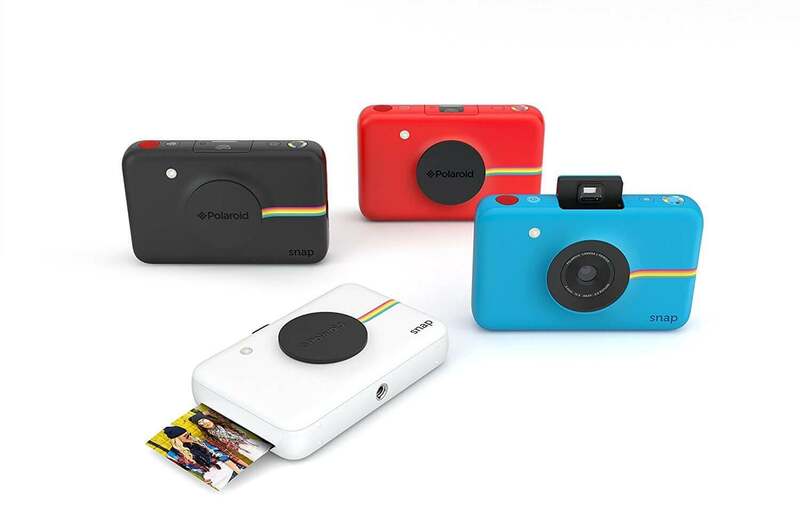 Polaroid Snap comes with a 10-megapixel camera and four vibrant colors. It allows you to take high-quality pictures and instantly print them in no time. It also has a micro SD card slot and supports up to 32Gb. It is designed in such a way that it gets fit in your pocket easily, therefore it is easy to carry. ZINK Technology enables you to print smudge proof 2inchx3inch pictures automatically. It uses ZINK paper only for printing pictures. Polaroid Snap Touch is an upgraded version of Polaroid Snap. In addition to all the above features, it includes a 3.5-inch touchscreen LCD Display. Ita Bluetooth enabled camera integrates printing app for iOS and Android. You can also edit, add filters, text, borders, emojis, digital stickers and more to your photos. It also has a high resolution of 1920x1080. 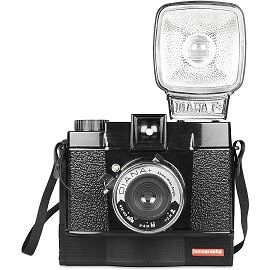 Lomography's Diana F+ is the best range of vintage cameras. If you are a vintage lover then this is for you. The thing that makes it so appealing is its flash. It also includes 'Standard Back' means you can also use it as a medium format camera, for clicking 5.2cmx5.2cm shots. It includes option for two shutter speeds - 'N' for normal (daytime/ flash) and 'B' for long exposures (indoor/ night-time). It can work with Fujifilm Instax Film. 8 Best Sling Backpack for Travel and Everyday Carry. 7 Best Tactical Backpacks from Top Rated Sellers. Fujifilm Instax range is a brand owned by Polaroid which produces low range Instant cameras. This Fujifilm Instax Mini 7s is very easy to operate. It is also very easy to carry and a family favorite camera. It has an auto flash system that automatically adjusts in low light. It uses 4 AA batteries to operate. 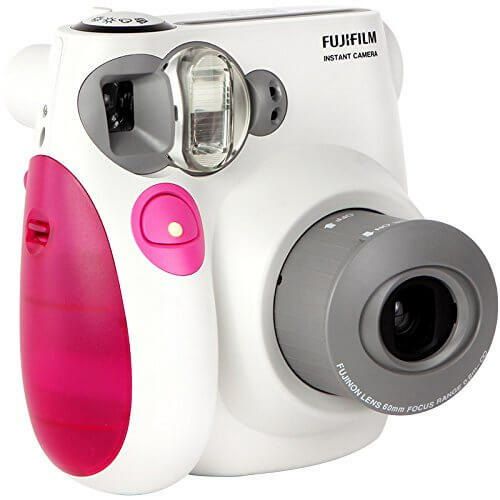 It uses Fujifilm Instax Mini Picture Format Film, to print images. Next in line of Instax series is Instax Mini 8. It has become the most widely chosen Polaroid camera ever. It comes in 7 vivid colors so that you have the choice of your favorite one. It is also useful during a romantic candlelight dinner as well as in broad sunlight on a beach. You can adjust its brightness by just moving the circular dial in the middle as per your requirement. It uses 2 AA batteries. It prints rectangular 6cmx4.5cm images. 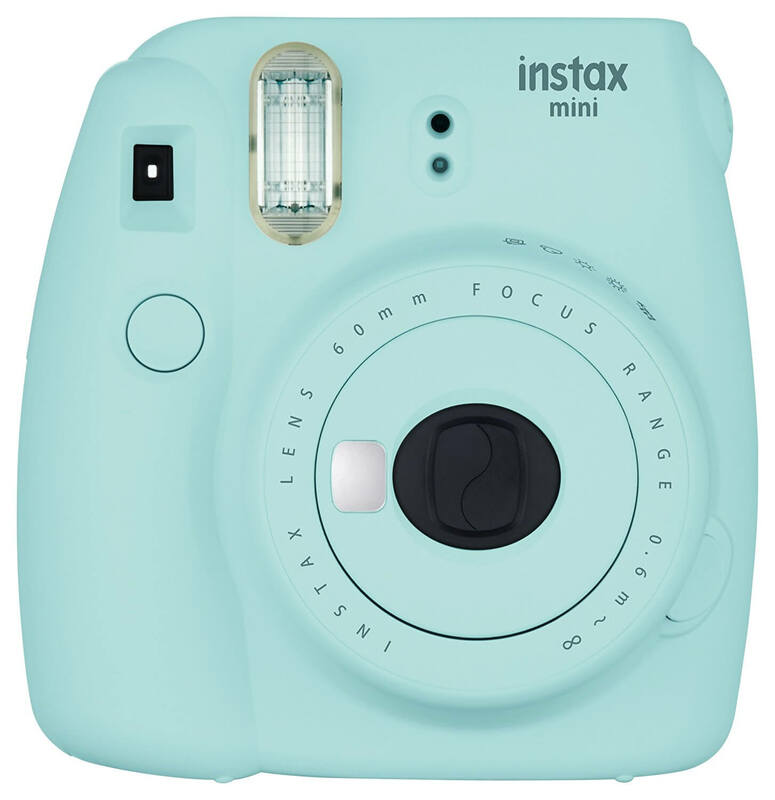 Instax Mini 8 has been discontinued by the manufacturer but you can still buy it on Amazon. The only drawback the Instax Range has is, it does not comes with memory slot. Hang on pretty people! Our list doesn't end here. I have got a very interesting Instant Camera for you. This is especially for the ones who like to have everything different and creative. 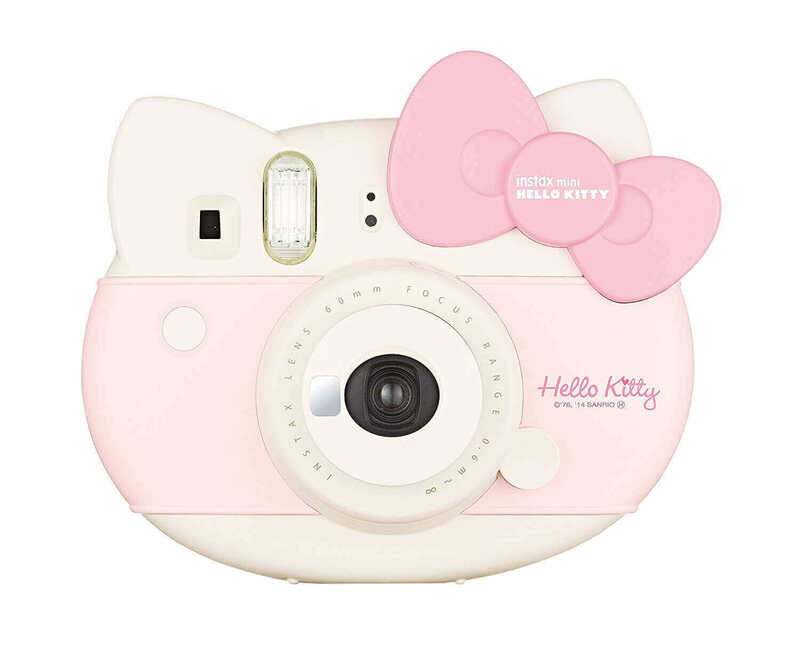 Fujifilm had launched these insanely cute Hello Kitty Instant Cameras. They come with a flash and run on 2 AA batteries. They print images as of the size of Instax Mini 8. 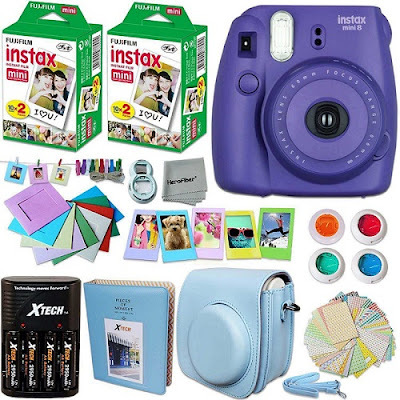 They require Fujifilm Instax mini picture film to produce images. You can gift it your friends, sisters and anyone you know is a hello kitty fan. It is priced high because it is a special edition to the Fujifilm Instax Series. This was all with the most popular Polaroid cameras in the market. An instant camera is a must buy for everyone. They are best for creating a photo collage, you can frame them on the walls of your room, you can create a picture wall hanging and lots more, you can do much more, the sky is the limit for your creativity. Subscribe Us to grab great Amazon deals on all the products and gadgets. Share it with your friends and family and comment below which one you like the most.